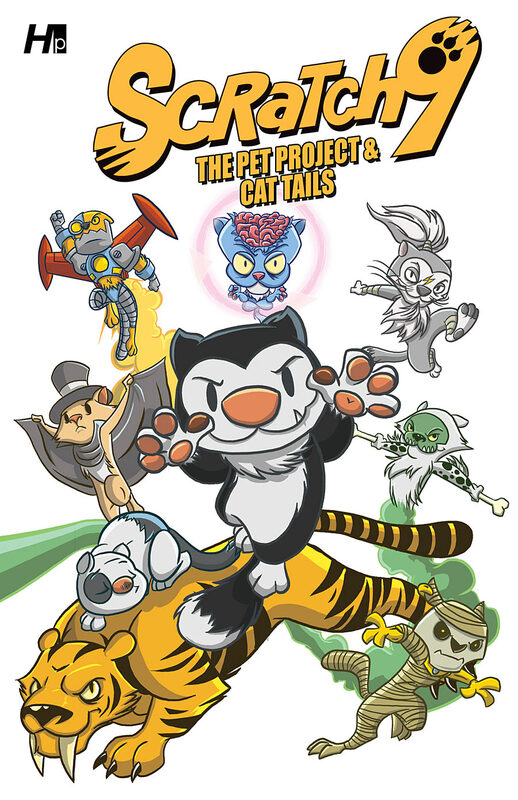 New this month from Hermes Press is the new deluxe hardcover collection of Scratch 9: The Pet Project. “Following Scratch9′s FCBD adventure, comes the complete Eisner Award-nominated story of The Pet Project. Scratch is a house cat who must save his animal pals from the clutches of Dr. Schrodinger and the C.R.U.E.L. corporation. Fortunately he can tap into all of his nine lives to help him out in jam! This deluxe edition collects the original story plus the Cat Tails anthology, along with all-new bonus materials!” It’s written by Rob M. Worley with art by Jason T. Kruse, Joshua Buchanan, and others. Check out the preview at Comic Book Resources.